| Guided reading plans to help you read and understand the Bible. Year in the Bible is designed to be a resource to help you get into God’s Word. There are many obstacles that can keep us from reading the Bible and even not knowing where to begin can be enough to discourage us.  Year in the Bible provides reading plans that show you just what to read each week. But reading it alone still can be daunting. So alongside the plans there are short Bible studies, visualizations, and posts on this website to help guide you through the Bible. That is what is different from other reading plans. You aren’t merely given a map and set off on your way. You have a guide to walk with you. You aren’t merely given a map and set off on your way. You have a guide to walk with you. Year in the Bible began in March of 2012 with the goal of having our local church read the entire Bible in one year. It has continued to encourage reading throughout the year, even if not in a whole Bible/whole year plan. I wanted to foster community around the Word so having people read the same scripture together provided another level of commonality. Each week we’ve also hosted a Bible study on Wednesdays to talk about what has been read, as well as to go through some text a little more in depth. Those studies are available from the past two reading plans and are useful for group or personal study. God never intended for us to be Christians alone, yet we often designate reading our Bibles as a primarily personal activity. That should be part of it, but we learn more, grow more, and are better challenged when we gather together around the Word. You can look through previous years posts using the search box at the bottom of this page. For example, search for “David” or “Romans” to see all the posts that mention those terms. We began with a year-long reading of the whole Bible. Then in the summer and fall of 2013 we closely studied 1 Corinthians. The third plan took selections from the entire Bible and studied them for a few months. The hope was to give you a brief overview of what God has been doing since creation and what he is still doing today. In this way we saw how all the plans of God find their fulfillment in Jesus Christ. Each week had posts that dove in to certain portions of the readings, Bible studies to help you sit and reflect, and links to other materials I’ve found useful. The site is still hosted to offer these resources for anyone to use, and I still am pondering what may come next. I’m a visual person and I tend to learn better when I can see something. With that in mind I provided visuals as we studied 1 Corinthians. Every week of the reading plan had a memory verse that went along with it. For every memory verse there is a visual. Although we are on a new plan now, these are still valuable especially if you’re looking to start trying to memorize scripture. If you’d prefer posts to come to you, rather than you going to the site, you can sign-up at the bottom of this page and receive new posts right in your inbox as soon as they are up on the site. My name is Casey Clark and along with my wife, I pastor New Monmouth Presbyterian in Lexington, VA. I love getting into the Bible and studying it with others and am excited to see what God will do in his people when we gather around his Word.